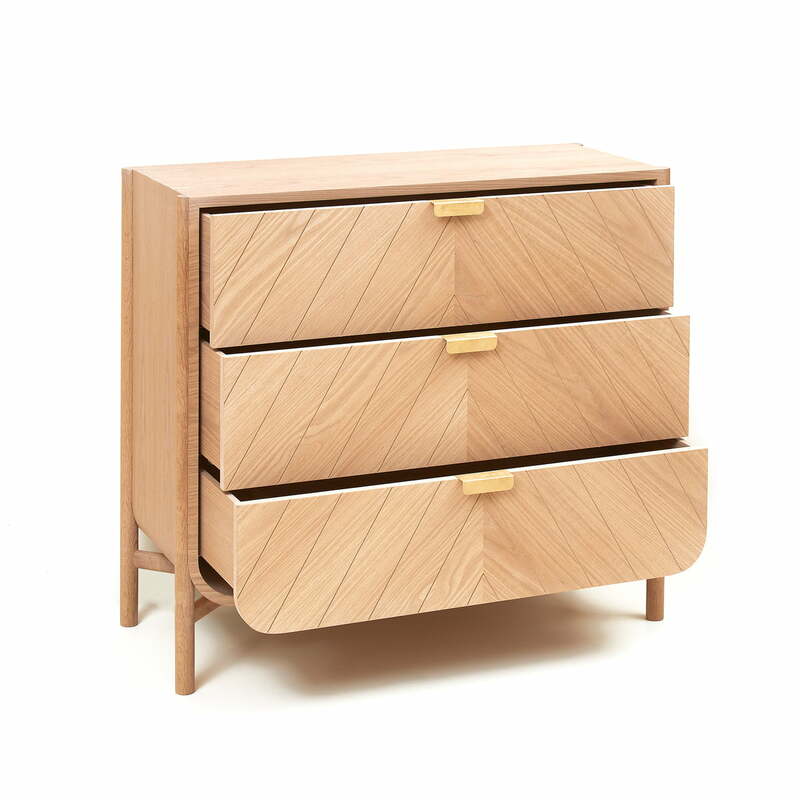 The Marius chest of drawers was designed by the French designer Pierre-François Dubois. Created for the manufacturer Hartô, the classic chest of drawers impresses with its special design inspired by the sea and shipping. 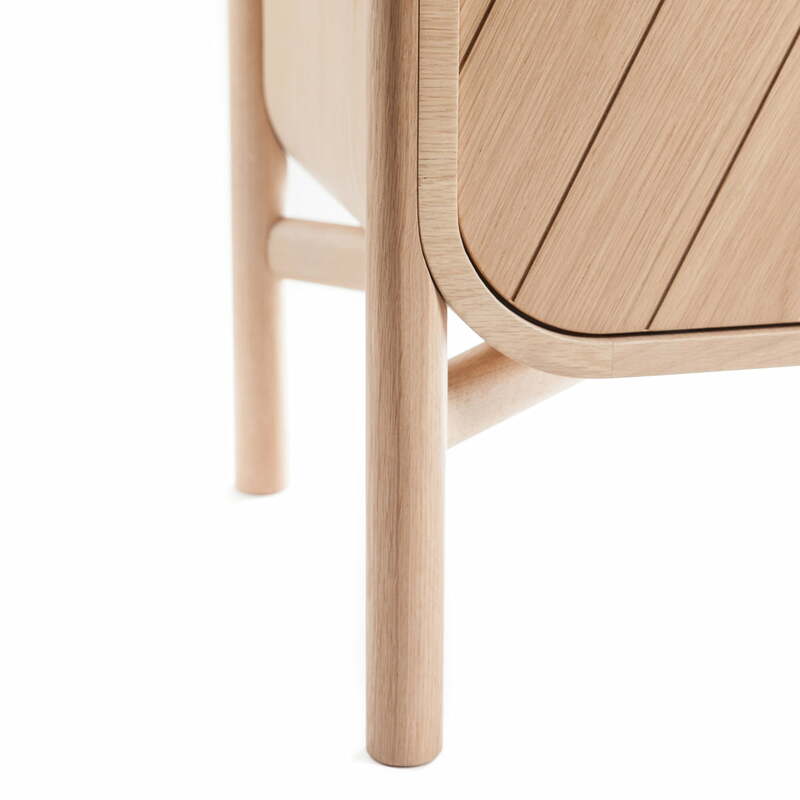 While the rounded corners are reminiscent of a ship's hull, the tapering lines on the fronts imitate the shape of a sail. 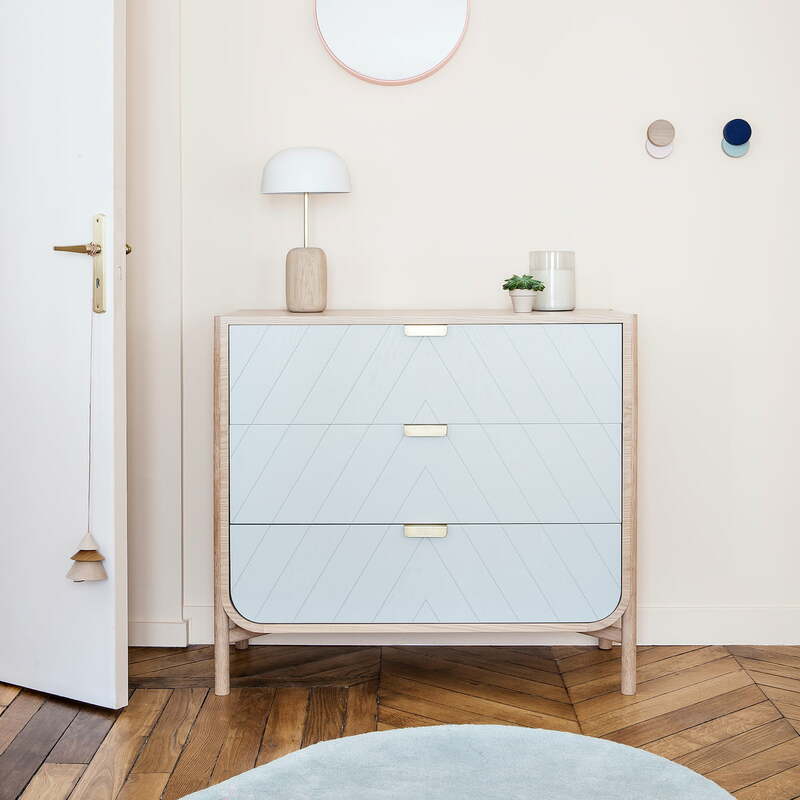 The 100 cm wide chest of drawers has three equal-sized drawers which can be used to store different items depending on the room it is used in. In the bedroom, it is perfect for clothes, while in the study, stationery can be kept in the drawers. 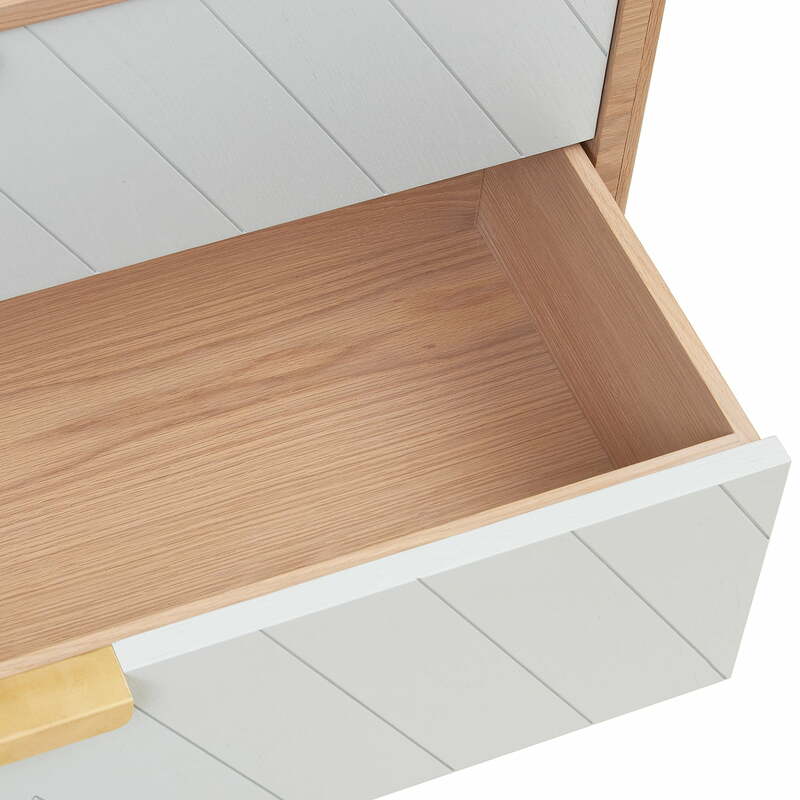 Thanks to its unobtrusive design, the chest of drawers fits perfectly into every style of furnishing and brings with it a maritime feel. 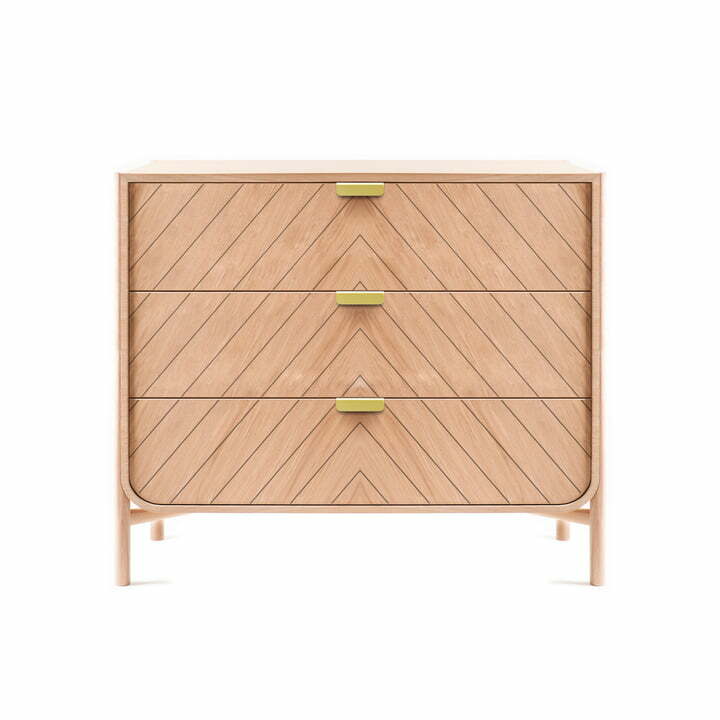 The Marius chest of drawers from Hartô is made of MDF with oak veneer, the legs are made of solid oak.